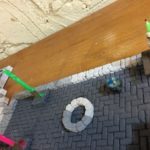 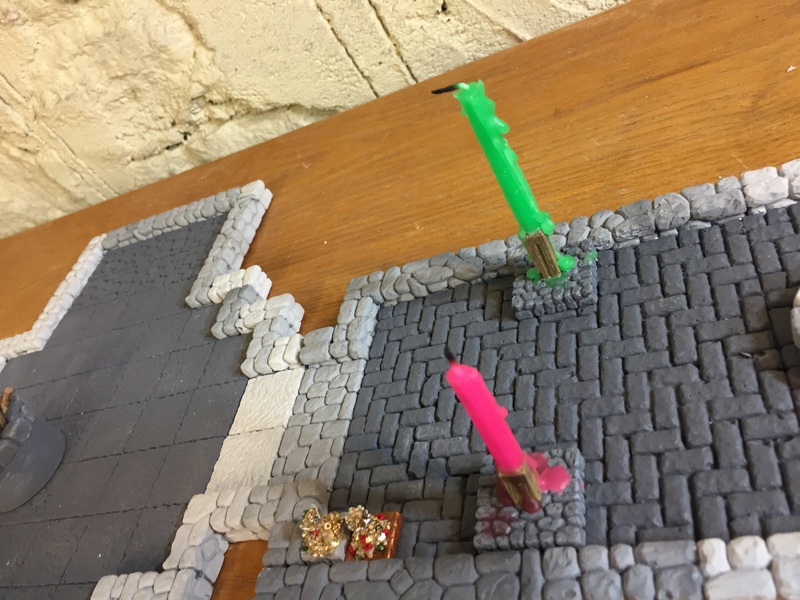 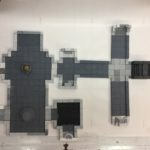 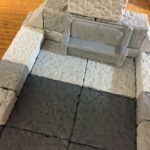 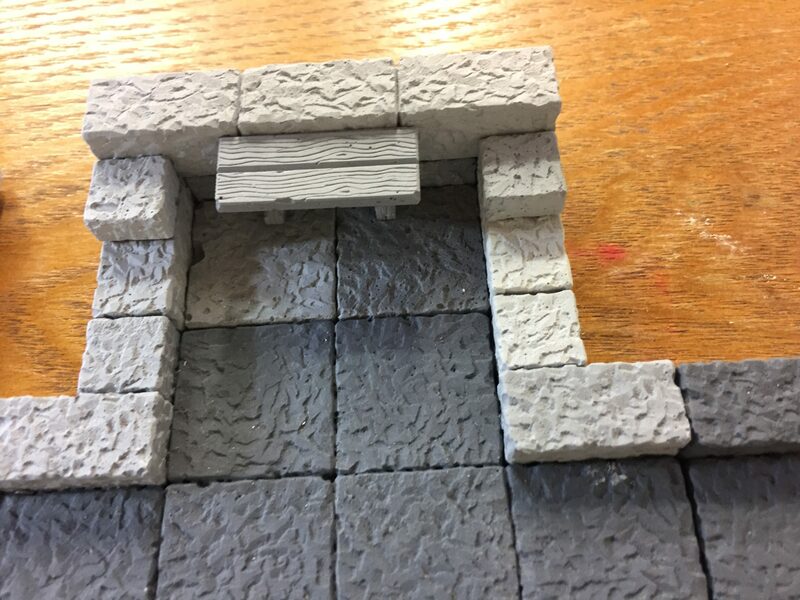 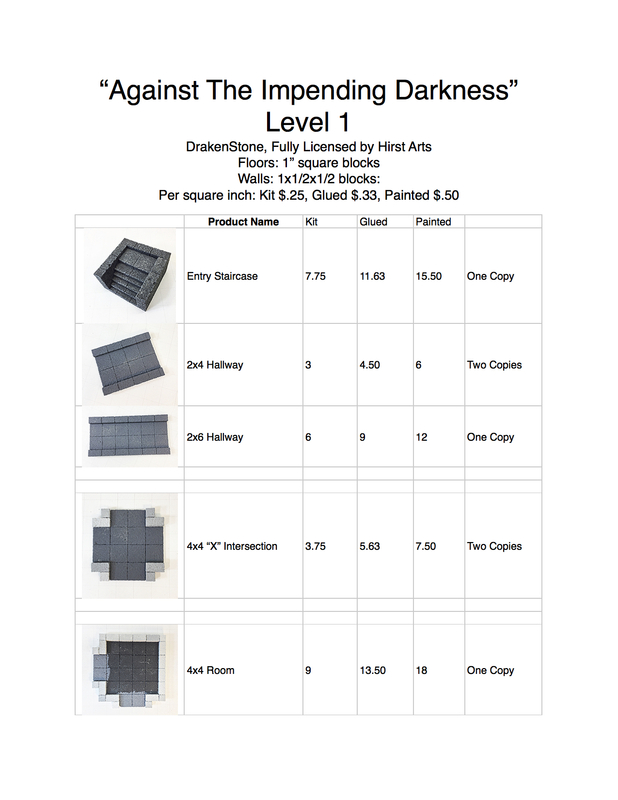 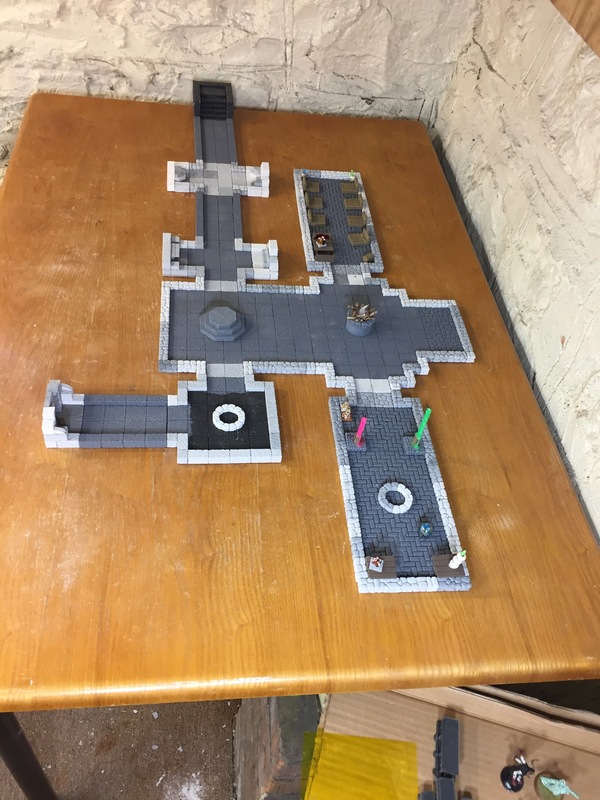 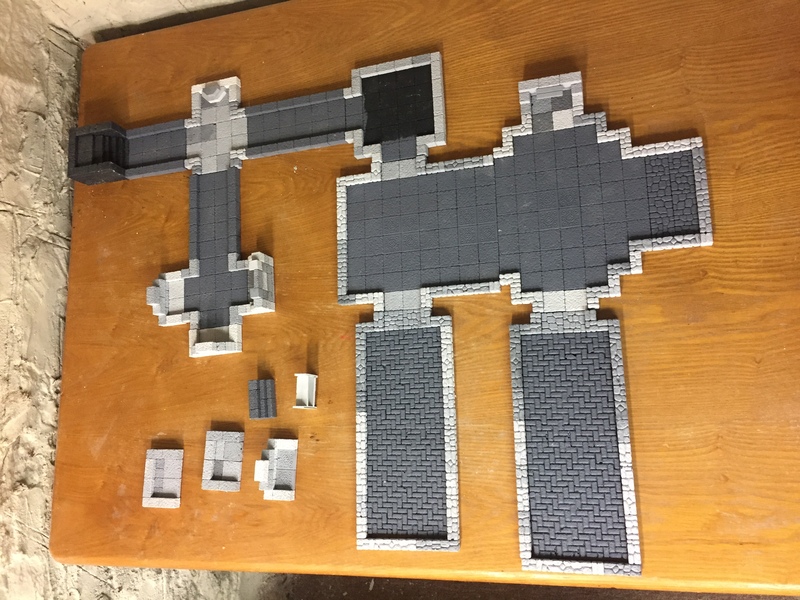 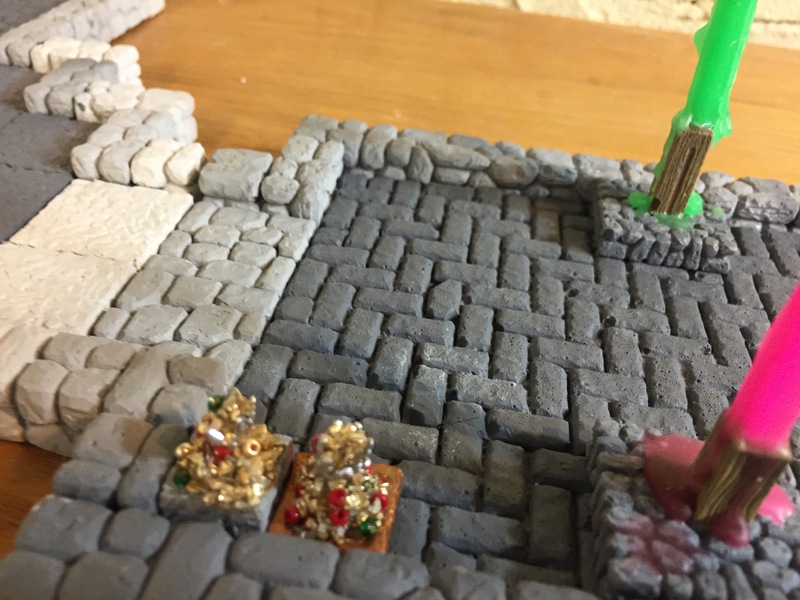 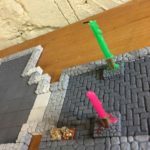 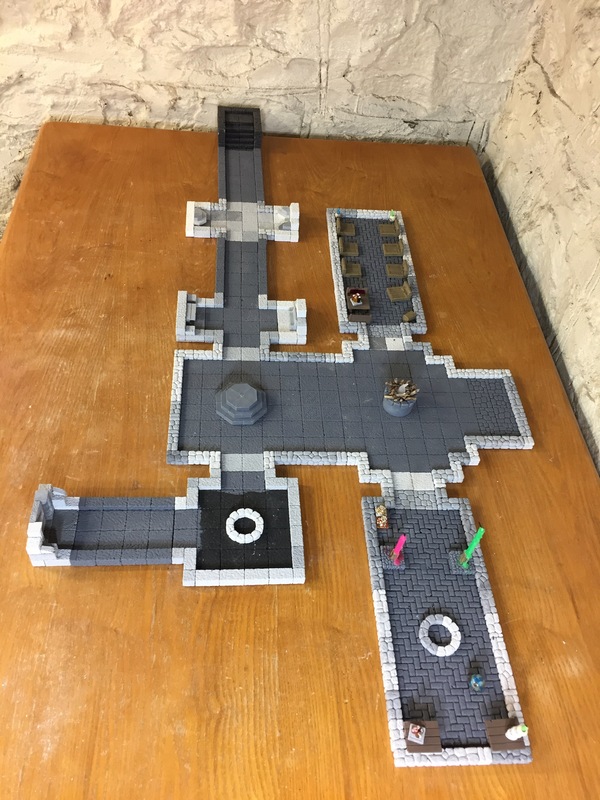 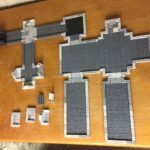 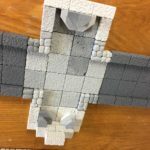 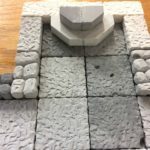 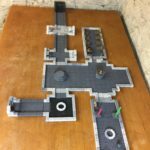 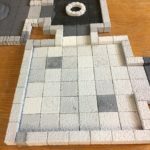 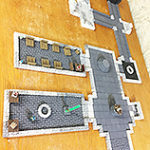 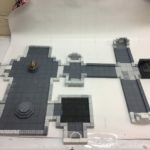 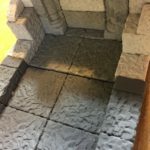 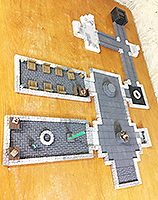 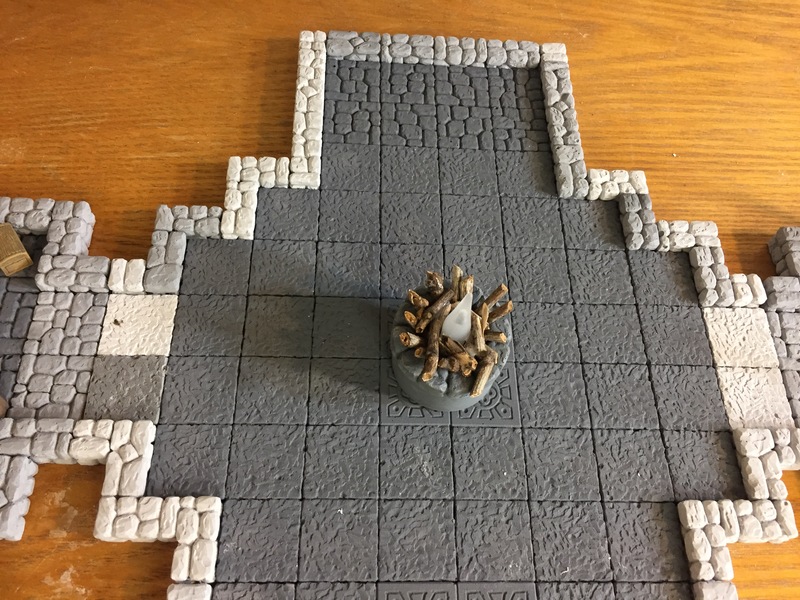 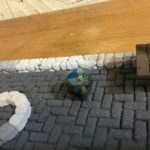 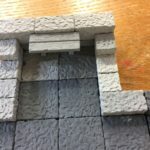 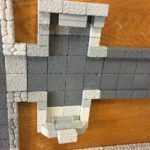 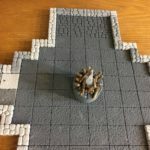 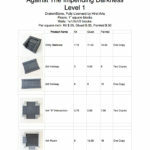 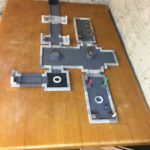 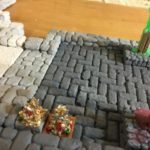 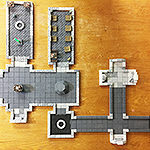 Why settle for crafting dungeon tiles that have absolutely nothing on their underside? 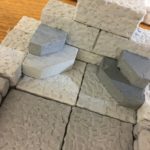 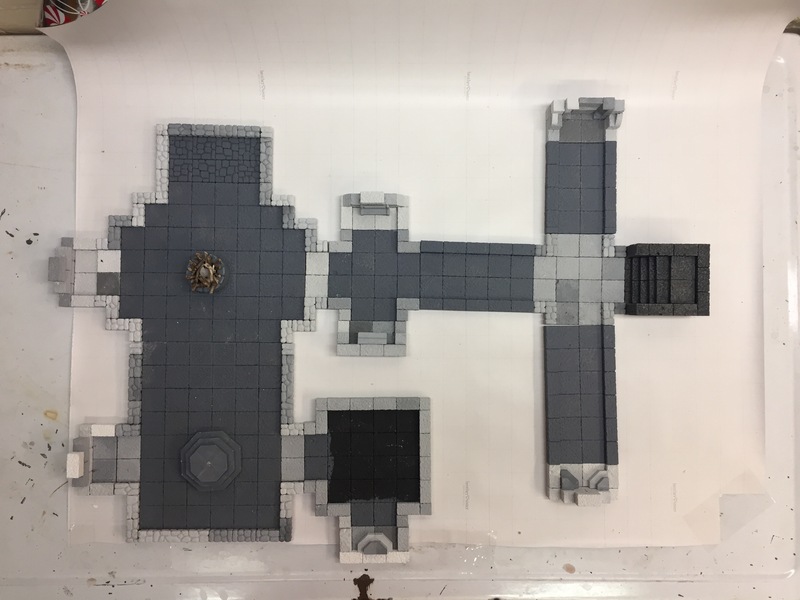 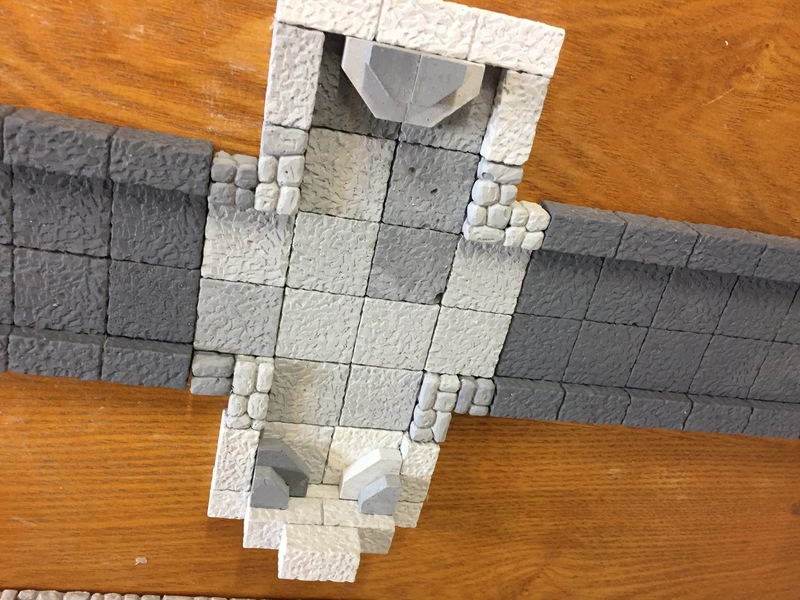 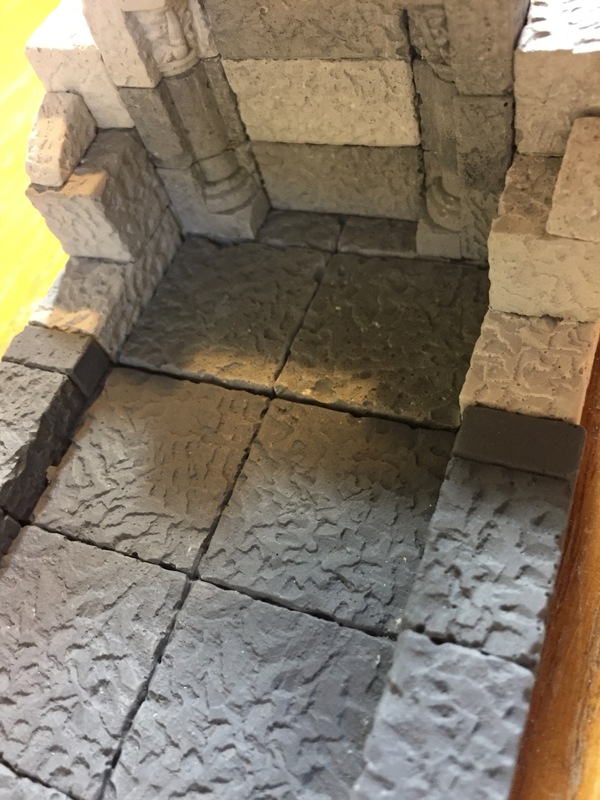 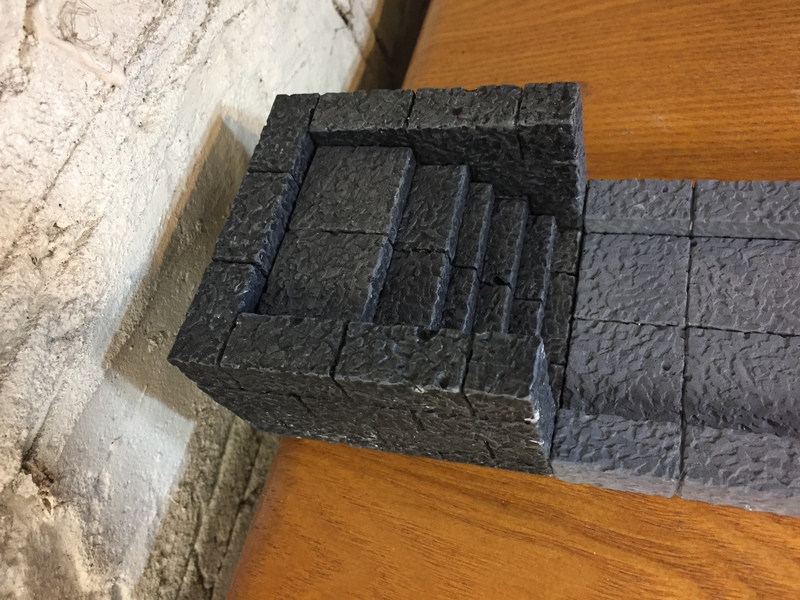 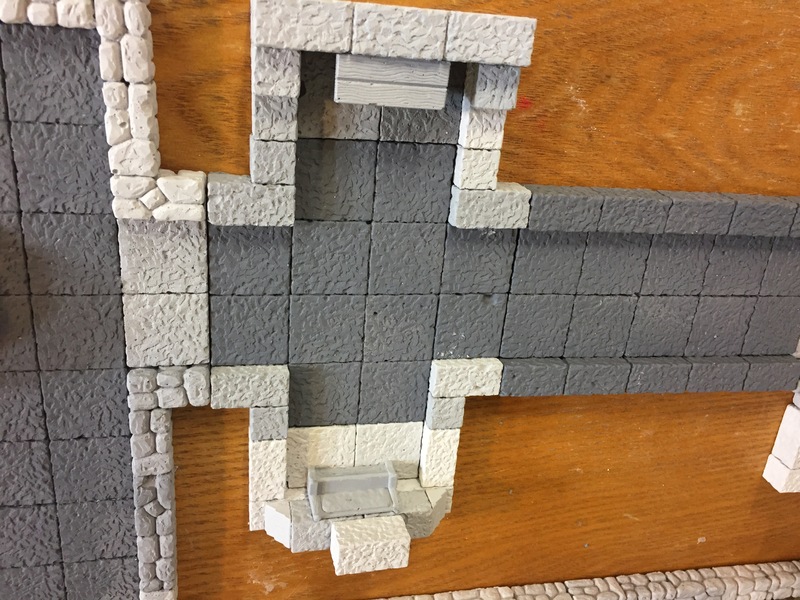 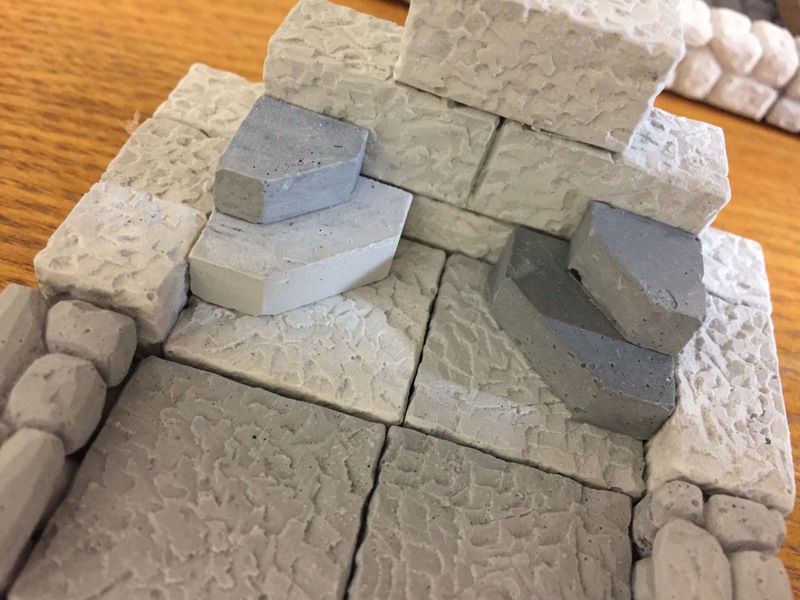 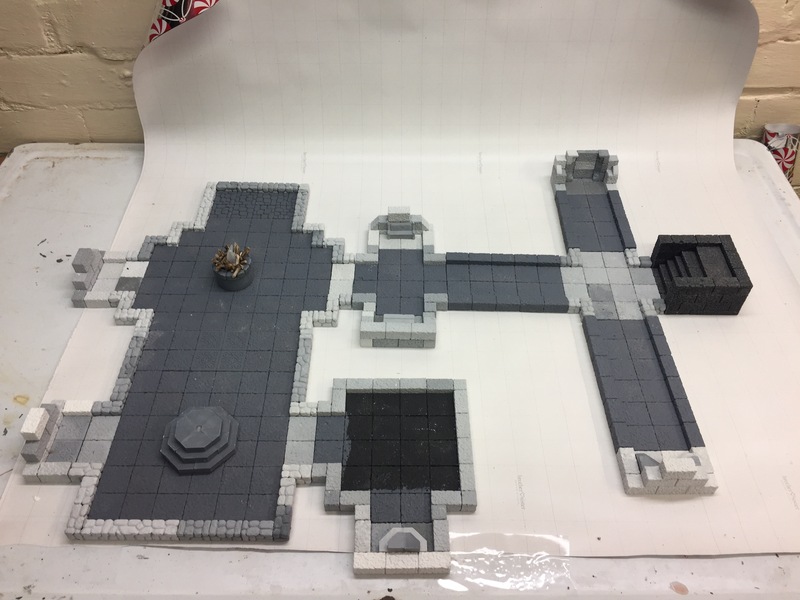 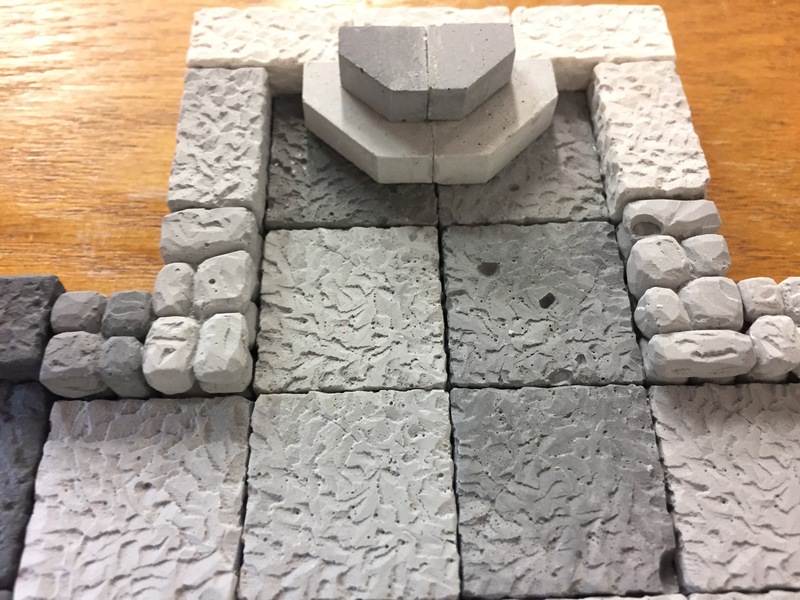 Printed maps and cardboard dungeon tiles are double sided… why not the textured dungeon tiles that we can create with Hirst Arts molds? 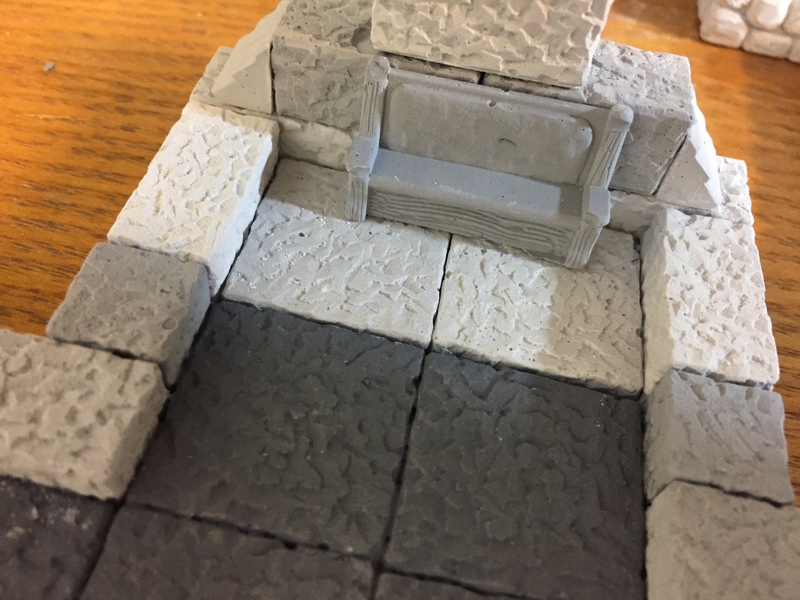 One side is gothic stone. 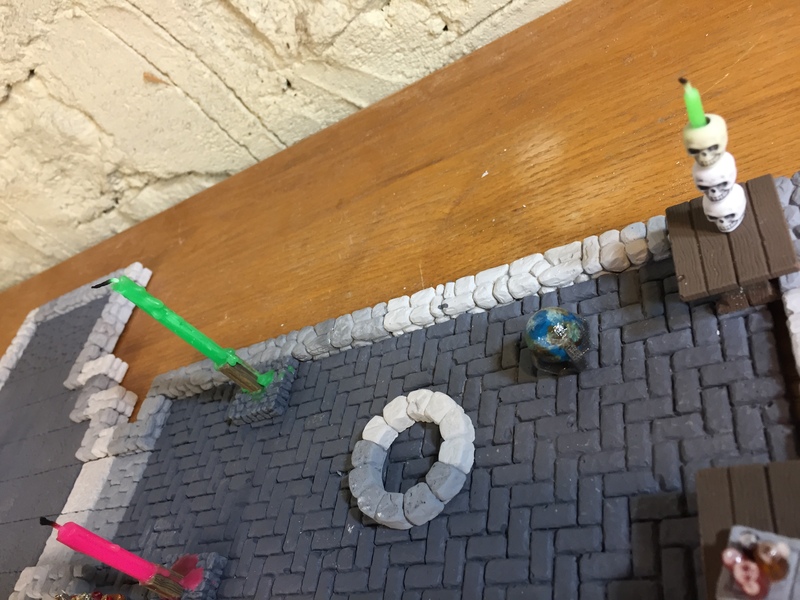 It is 1/4″ tall. 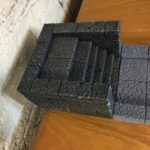 The other side is a wood floor. 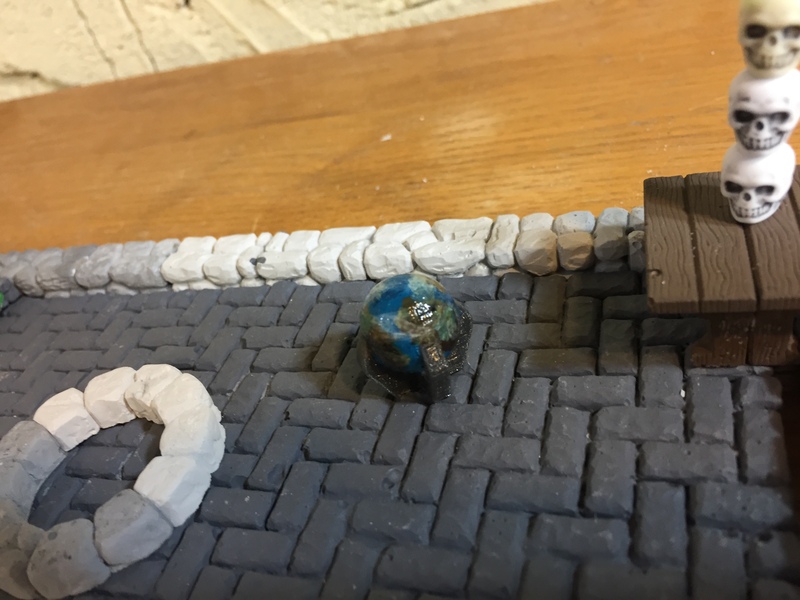 It is 1/4″ tall. 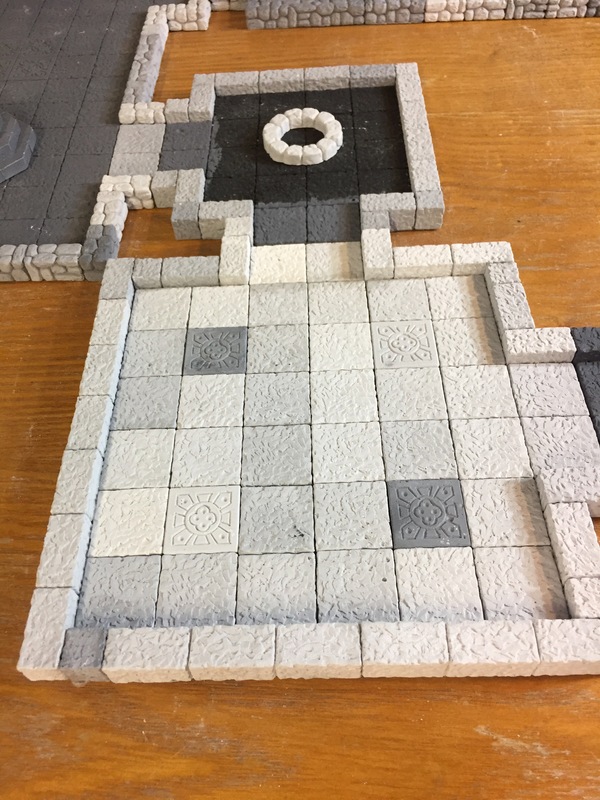 Glue them together, back to back, and you’ve got 1/2″ tall dungeon tiles, which are double sided. 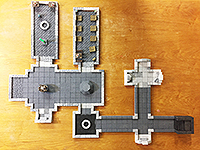 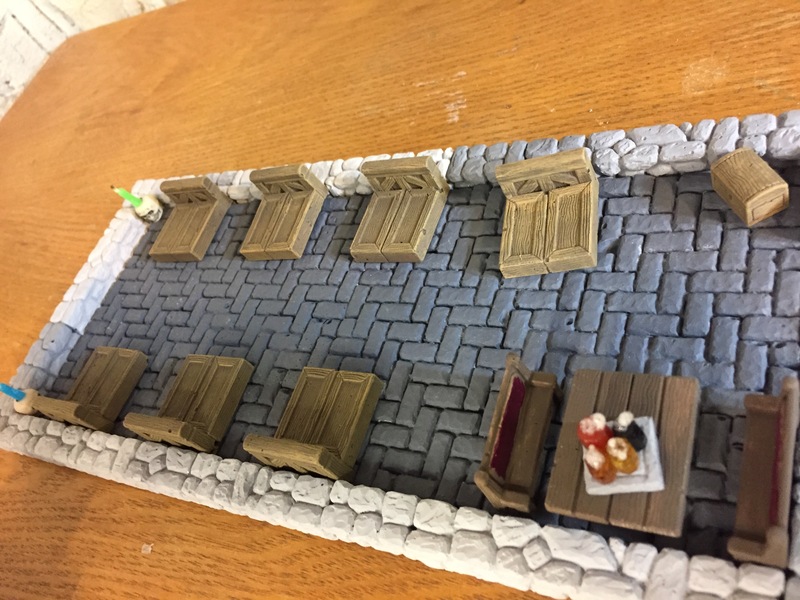 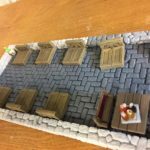 Play your adventure inside the tavern with wood floors… then flip over the tiles, and the party is now in a dungeon! 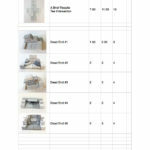 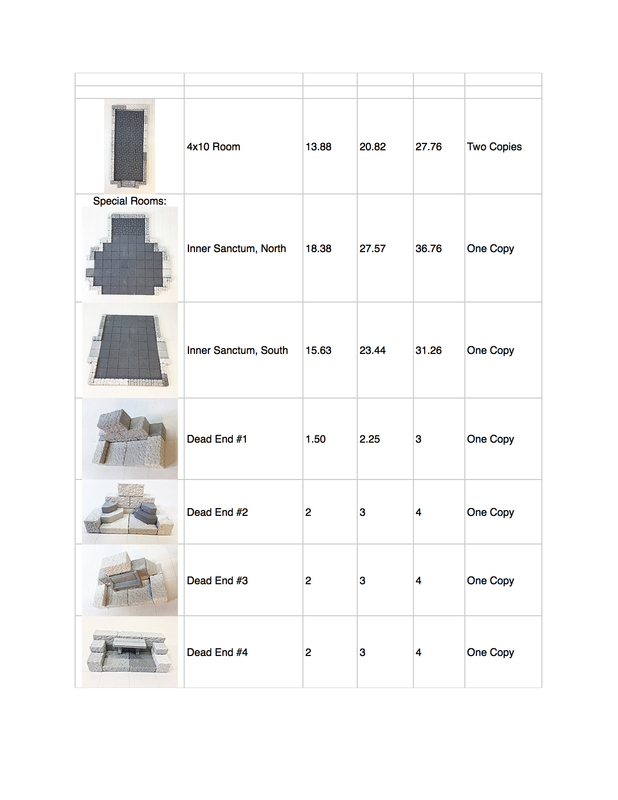 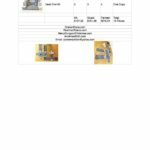 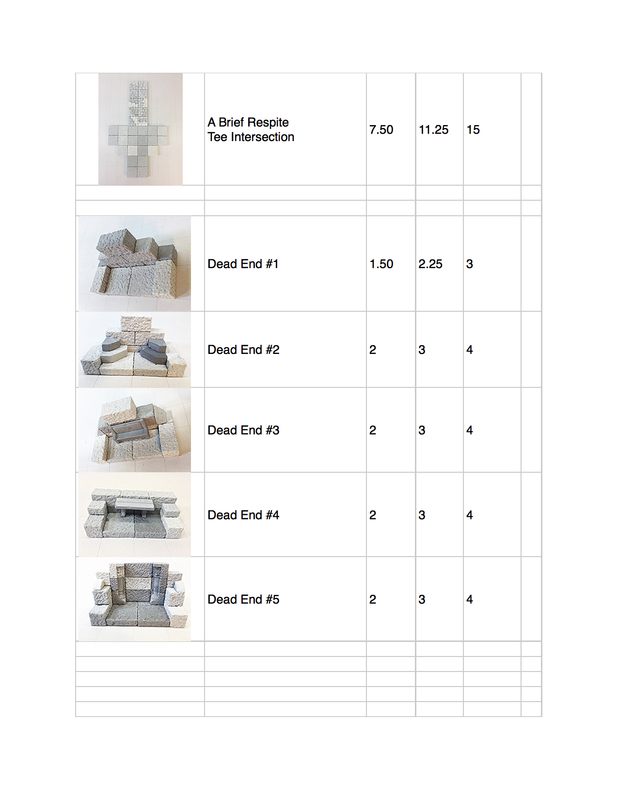 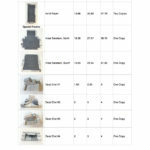 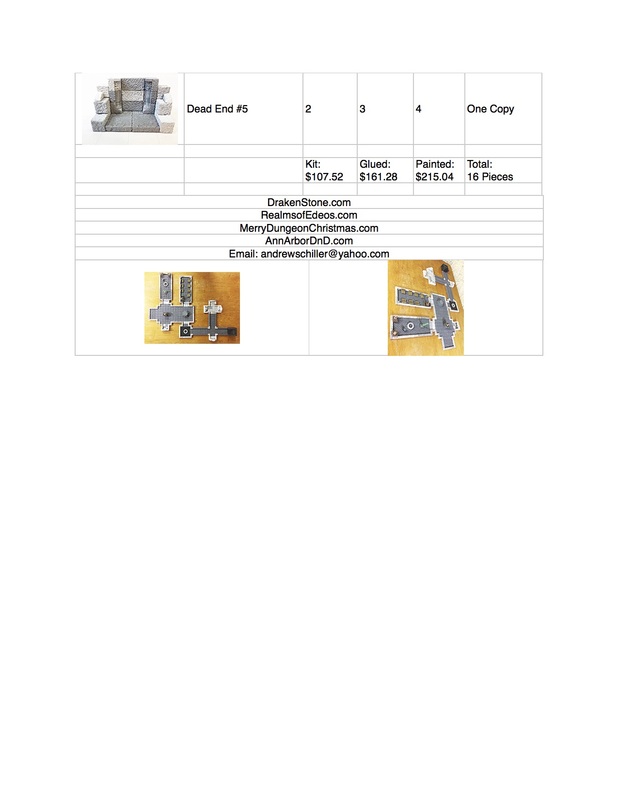 Other floor styles available are: Egyptian, Cobblestone, and the special decorative square from the Tomb mold.